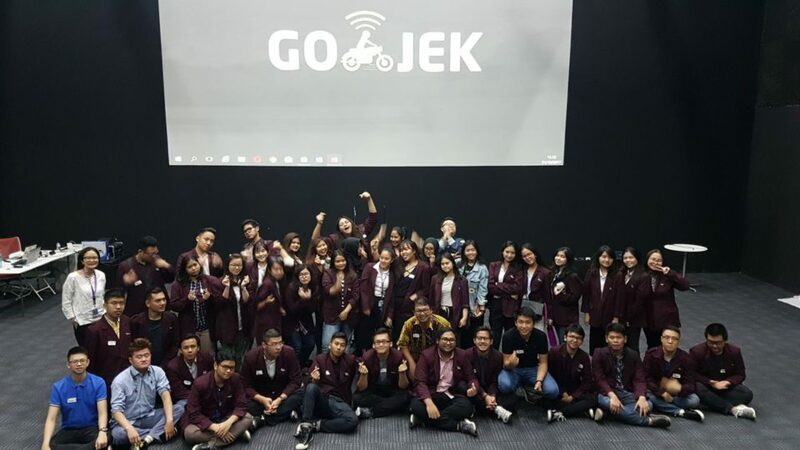 A total of 45 students from Business Information Systems and Communication programs of BINUS INTERNATIONAL participated in a company visit to the Go-Jek headquarters at the Pasayara Building, Blok M, Jakarta, on Tuesday, 31 October 2017. Located on the 6th and 7th floors, Go-Jek’s headquarters is currently occupied by approximately 600-700 Go-Troops (staff members) and Go-Squad (interns). Upon entering the office, a strong Halloween vibe was felt by the students thanks to the decorations and costume contest that the employees took part in. This company visit was divided into two sessions – a sharing session and an office tour. 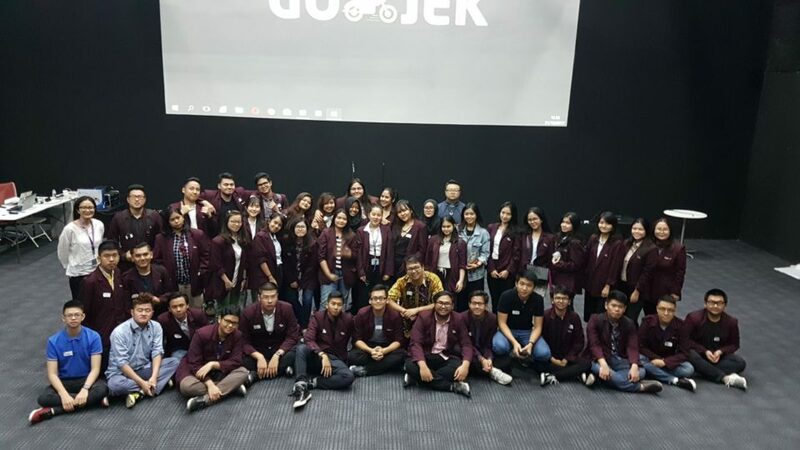 During the sharing session that was held in the Go-Learn Auditorium, Mina, from the Brand Engagement Department of Go-Jek, shared various information such as the background of Go-Jek and its achievements from 2010 until now. She also explained several regulations in the partnerships between Go-Jek Indonesia and its partners. Speed, innovation, and social impact are the primary values of Go-Jek Indonesia. Mina explained that Go-Troops and Go-Squad would not last long in Go-Jek’s working environment if they did not have those values. The flat management system that was applied by Nadiem Makarim, the founder and CEO of Go-Jek, also accelerates Go-Jek’s performance – as proven by the fact that in one year, Go-Jek already has 15 products. 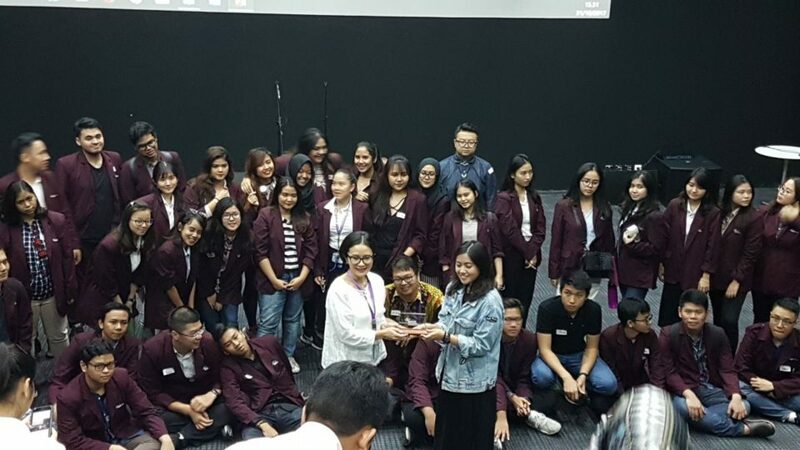 “The drivers as our partners are also proud to wear the Go-Jek jackets because of the application, the social impact, and the creation of an Indonesian,” she added. The sharing session was followed by an office tour session where the students were divided into three groups. 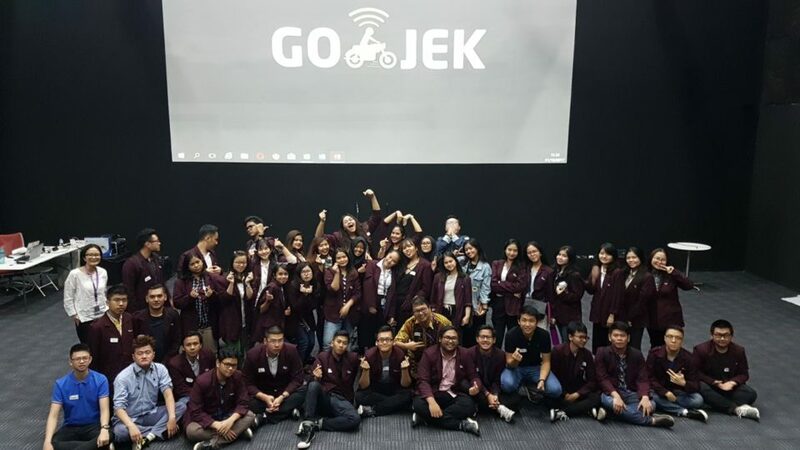 During the office tour, the students could find many interesting facilities in the Go-Jek headquarters. Some of the facilities that are provided for the Go-Troops and Go-Squad include a fitness center, a sleeping room, meeting rooms (named after each of Go-Jek products), Go-Play (playing room), Go-Chill (chilling room), and Go-Café. A modern office ambiance is very much felt in Go-Jek’s office, since there are no partitions between the desks, unrestrained and neat outfits, and no regulations about the check-in and check-out times. From this company visit, the students could learn that the office that can adapt to the millennials’ ways of working does indeed impact rapid achievements and continuous innovations. Meanwhile, the young generations themselves need to have empathy and consider that social impact. Their loyalty and dedication will result in great impacts, especially to their own country.